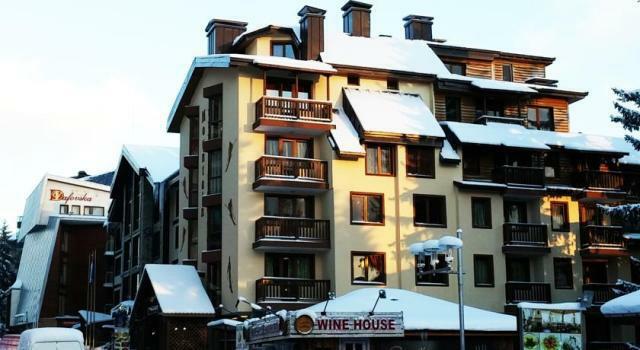 'Mountain Lodge' is an elegant and contemporary residential complex, situated in the heart of Pamporovo ski resort, next to the Perelik hotel. The good position of the complex gives an excellent view of the Snejanka peak. Ski lifts and all the popular ski schools are only few minutes walk from Mountain Lodge. Mountain Lodge has the most convenient location and this secures its leading position in the development and future of Pamporovo as a popular winter resort. Apart hotel Mountain Lodge includes 46 apartments. To provide a cozy atmosphere and to grant maximum comfort for owners, all apartments have a fireplace. The area of the available apartments varies from 45 up to 75 sq. m. Most apartments have balconies providing spectacular mountain views. 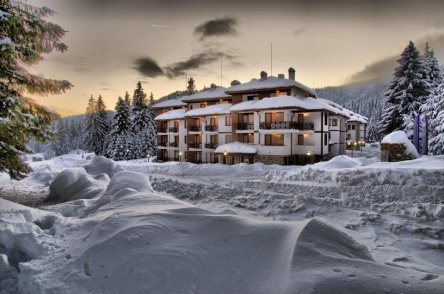 Pamporovo is one of the best known Bulgarian mountain resorts. It is situated in the heart of the Rhodopes at an altitude of 5250 ft (1650m). The resort is popular both in summer and winter because of its beauty and favourable climate. Pamporovo claims to be the sunniest mountain resort in Europe. Traveling to Pamporovo is easy using the charter flights to the city of Plovdiv, which is 85 km away from the capital of Bulgaria - Sofia, which is 240 km away. Pamporovo is a great winter sports centre. It has all the facilities for skiing and a number of international competitions are held every year. There are over 240 sunny days in Pamporovo during the average year. The snow cover lasts between 150 and 200 days of the year, reaching 140-150 cm in depth. Over 17 km of alpine skiing runs of various degree of difficulty and 25 km of cross-country runs, 6 seat lifts and 143 ski tows with capacity of 9500 persons per hour are available to use. The gentle profile of the mountain with its rounded slopes makes Pamporovo particularly suitable for beginners. There are also difficult ski runs like the Giant Slalom, which is an excellent exercise for every skiing expert. 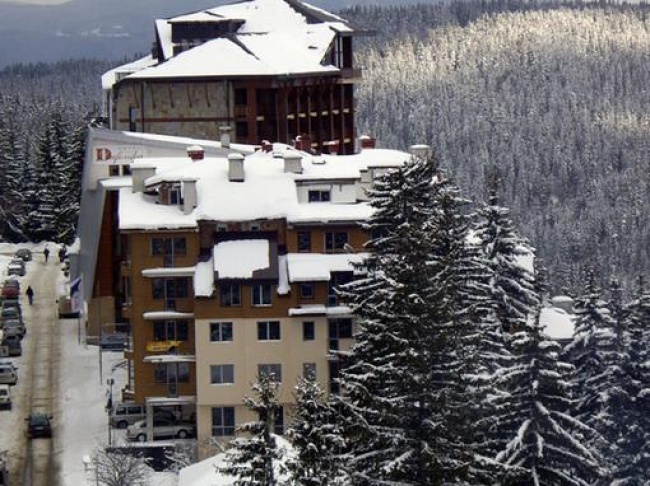 In future Pamporovo will be further extended, by the building of a number of new ski lifts and more sports facilities. Furniture packages and the perfect furniture solution for your new home in Pamporovo are available from the developer. The packages contain everything you are going to need, whether you have bought your apartment as an investment or you intend to use it full time. There is an annual maintenance fee which applies to all owners of properties in the complex. This charge is for general maintenance of the common parts - swimming pool, gardens, stairs, lifts as well as 24 hour security guard.